Vortala was founded in 2004 with a vision to provide healthcare professionals (chiropractors, dentists, optometrists, veterinarians, etc.) with a world-class website service designed to grow their practice. Today, over 2000 practitioners worldwide trust Vortala to manage their practice website and online reputation. Create patient-centric, emotionally engaging website content for chiropractic and dental websites. Apply today! Watch this video (featuring our flagship brand, Perfect Patients) to see what we do. As a member of our writing team, you’ll report to our Content Manager based in New York. The focus of your role will be listening to recorded interviews with doctors and creating up to ten pages of engaging website content including: the homepage, doctor’s biography, about us, etc. Creating patient-centric, emotionally engaging website content for chiropractic and dental websites. 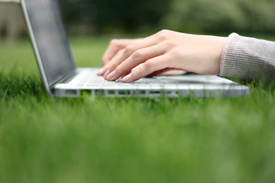 Applying company best-practices for content that converts website visitors into new patients. Deploying state-of-the-art “writing for the web” content techniques to enhance readability, browsability, visitor time-on-page and calls to action. To secure an interview, you should have expert English language skills and at least five years professional writing experience (preferably with a focus on marketing-oriented writing). Experience with chiropractic or dental content is preferable but not essential. The position offers flexible part or full time hours. You’ll work from your own home office and liaise with team members around the world using collaboration tools like Skype, GoToMeeting and Email. Apply today and enjoy the career benefits of working with our fast growing, international media company.